After having several people recommend it to me in recent weeks, I finally went to see the movie, Won’t You Be My Neighbor - a documentary on the life and work of Fred Rogers; a man who is perhaps better known by many as Mr. Rogers. Besides the awkwardness of inviting someone (besides my wife) to go see a movie about Mr. Rogers with me, I walked away with a deeper knowledge, admiration and respect for a man whose life was devoted to enriching the lives of children and families, primarily using the platform of public television. I can tell you unashamedly today, I want to be more like Mr. Rogers when I grow up! Without spoiling the documentary (which I would highly recommend; although, it is certainly for an adult audience), Fred Rogers was an ordained Presbyterian minister from Pittsburg, PA, whose interest in television and its potential as a powerful and positive communication tool that could be used to reach large audiences, led to the development of the famed children’s television show, “Mr. Rogers’ Neighborhood.” Chances are if you didn’t grow up watching the show, you’re at least familiar with the theme song. 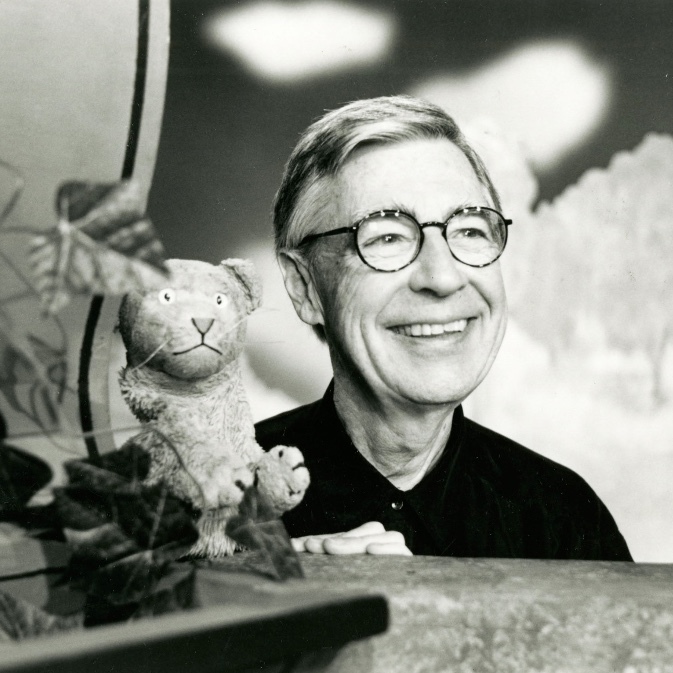 And although my kids are too young to know who Mr. Rogers even is, they, like my kids, might be familiar with Daniel Tiger,who came from the imagination of Fred Rogers and who appeared often (in puppet-form) on the program. Fred Rogers’ message was consistent and simple: he wanted every child to know they were special, loved and lovable. He deeply believed in doing everything possible to protect children. As my friend, Steve, and I were discussing after the movie, Mr. Rogers was always kind, but not always necessarily nice. In fact, when it came to matters of adults’ and governments’ responsibilities to protect children, he was quite fierce and immovable at times. He believed in the development of children’s imaginations while navigating the sometimes difficult transitions of childhood into adolescence and eventually adulthood. He was undoubtedly social pioneer with tremendous cultural awareness, who courageously and often would speak directly to children about things such as war, violence, discrimination, death, divorce, disabilities and so forth. He is one of the key figures who is attributed to saving public television from losing it’s government funding. testifying before a senate subcommittee in 1969, during the height of the Vietnam war - a time when children were especially in need of something positive to help them make sense of what was going on in the world around them. The premise of Mr. Rogers’ Neighborhood was to bring children into a place of safety and imagination where they could be themselves; where they could be loved (and liked) for who they were, just as they were. The neighborhoodrepresented a place of protection where everyone looked out for the interest of one another. If you’re thinking, “that sounds a lot like the Gospel and the Church,” you’re right. That was Fred Rogers’ mission. Toward the end of his life, he was asked to speak words of comfort to the nation following the 9/11 attacks, and to do so on a familiar platform - television. In one of his last television appearances, Fred Rogers used the Hebrew phrase Tikkun Olamas a way to encourage people in their responsibility in the aftermath. The phrase implies that as human beings, we are called to be repairers of creation. This was certainly Fred Rogers’ vision for how neighbors were to contribute to the neighborhood. Neighborhoods are made up of neighbors whose lives and worlds are messy, broken and in chaos. But as we do the work of neighboring, we are somehow joining the Creator in restoring and repairing the creation. One of the sad realities that emerged before his death were accusations against Rogers’ that he had contributed more harm than good to children growing up by telling them they were special. As adults, these kids were beginning to realize that the world around them expected them to prove they were special and worth loving. Subsequently, people argued that by telling a person they are worthy of such things contributed more to entitlement and laziness. And yet, at the heart of the Gospel is the voice of a good, kind, loving and patient Heavenly Father who speaks words of love and affirmation over His children, not for what they’ve done to somehow earn or deserve it, but because they were created to be loved by Him. Somehow knowing this love, especially in light of the grace by which its given, becomes the most transformative truth a person could ever know, which then propels them into a future of living loved instead of spending their energy and resources trying to earn it. Turns out, Mr. Rogers was not only a good neighbor, and a masterful builder of neighborhoods, he was a brilliant theologian, and perhaps one of the most effective evangelists of the modern era. If neighboring is being a repairer of creation, then let’s strive to be good neighbors who contribute to the building of the neighborhoods around us - neighborhoods that allow others to experience and know the love that is waiting to be known through Jesus!